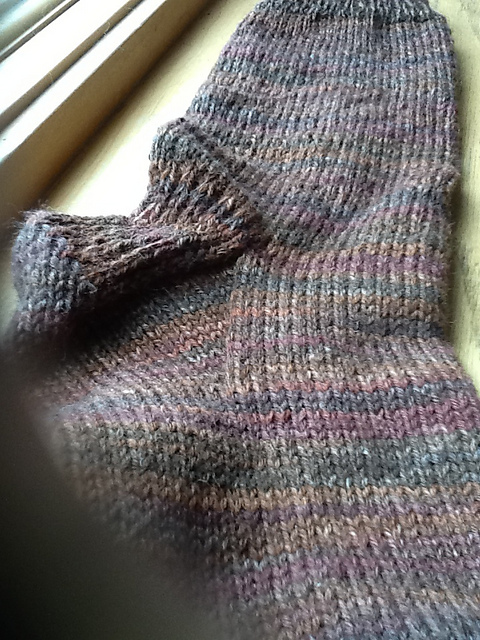 My own pattern: Cast on 56 and then did 2 inches of ribbing before changing to stockinette. He wanted them tall for boots so started the heel when the leg was 10 inches from cast on. His foot is 10.5 inches so started toe when foot was 8.5 inches. First one is done and fits perfectly!